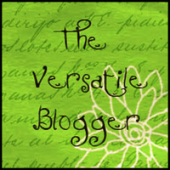 Welcome to my new blog. I am ready to explore plenty of topics that interest readers. I seek knowledge and I am intrigued by society and man’s behaviour. In this blog, I am eager to uncover the truth, to tell the untold stories, to right the wrong, to question, to think out loud, to share my thoughts and experiences, to find peace and hopefully to make a difference in people’s lives. Thanks to all who will follow me, and I appreciate your feedback no matter how harsh it might be. I am embarking on a journey that I have been preparing for, in quite some time. And now, the moment is here, where I go public with my thoughts and ideas and I am looking forward to growing as a person because of this wonderful and exciting experience. I would like to share a quotation with you that has inspired me for years: “God give me the serenity to accept the things I cannot change, the courage to change the things I can and the wisdom to know the difference”. 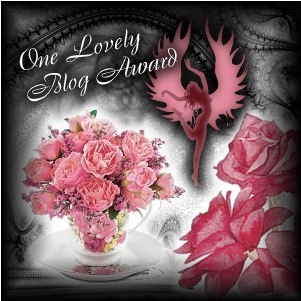 Congratulations on your 1st blog. Awesome writing. I admire the vulbaale information you offer in your articles. I will bookmark your blog and have my children check up here often. I am quite sure they will learn lots of new stuff here than anybody else! What a great start! Just connect with other bloggers and you will be well on your way. I like your spirit and inspiration. Pacesetters with courage to take risks first must sidsetep doors held shut by porters of the past. If your innovation has been barred behind sentients or cynics, you’ll especially enjoy the adventures of brainpower beyond the barriers. Have you thought about adding some videos to your article? I think it will really enhance viewers understanding. Please provide me with any suggestions – I appreciate all the support I get. Posted on I’d must test with you here, which isn’t something I uuslaly do! I get pleasure from reading a post that will make folks think. Thanks for permitting me to remark! I simply want to tell you that I am just very new to blogging and seriously enjoyed you’re web site. Most likely I’m planning to bookmark your blog post . You actually have outstanding writings. Many thanks for revealing your web page. intersting post, I surprisingly enjoyed glossing over it, keep up the good writing. After study some of the content in your internet web site now, and i also truly a lot like your technique of blogging. I bookmarked it to my bookmark web website list and will also be checking back soon. Pls take a appear at my internet website as properly and told me what you believe. Hey, how are you? It’s a pleasure to stop by, and check out your blog. I wish the best of luck in all your blogging endeavors for this year. Take care, love. Thank you very much. I appreciate all the support I get. I didn’t create it. It was just one of themes available and I picked it. Don’t even remember the name anymore. Been so long. Check in free themes. Should be there. Hope this helps. Hummm êtes νous sûr de ce ԛue vous affirmez ?